According to the Centers for Disease Control and Prevention, flu season is at its peak between December and February. And because of the cooler winter weather and lower humidity, cold viruses thrive this time of year. During cold and flu season, your best defense is maintaining healthy immunity. It's important to keep your immune system in fighting form with the nutrients it needs to defend against the flu, cold viruses, and any other bug it encounters. For a powerful immune-system protector, look no further than vitamin C.
Vitamin C, or ascorbic acid, strengthens and stimulates the immune system. It has been shown to stimulate both the production and function of white blood cells, the body's main defense against bacteria and viruses. Although vitamin C isn't a cure for the common cold, research shows that people who take vitamin C supplements regularly experience milder symptoms when they do catch a cold, and a shorter duration. Studies also find that vitamin C reduces the risk of getting a cold in athletes who exercise in extreme environments, such as skiers and marathon runners. 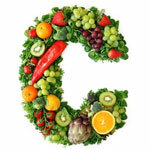 Vitamin C is water-soluble, meaning that the body does not store it, so we must obtain it from food and supplements. Citrus fruits such as oranges and grapefruit, strawberries, kiwi, red and green peppers, broccoli, and tomatoes are excellent sources of vitamin C. Just remember that the vitamin C content of foods may be reduced by storage and cooking, so enjoy C-rich foods raw as much as possible and be sure to get additional vitamin C in supplement form. Severe vitamin C deficiency, known as scurvy, is rare. Low levels of vitamin C are associated with high blood pressure, stroke, some cancers, and atherosclerosis. Other signs of deficiency include dry hair, bleeding and inflamed gums, dry skin, easy bruising, and wounds that heal slowly. Supplemental vitamin C is available in a variety of forms -- capsules, tablets, and chewables are among the most popular. If you find that ascorbic acid upsets your stomach, look for "buffered" vitamin C. Esterified vitamin C may also be easier on the stomach if you're prone to heartburn. Vitamin C is best taken with meals. Look for vitamin C in a daily multivitamin, immune-support formula, or stand-alone supplement. Daily vitamin C is an easy, inexpensive way to ensure that your immune system has the nourishment it needs to keep you well during cold and flu season and year-round.